A young African-American girl, with her belongings in her backpack, waded through the high waters and onto a truck, that would help her to high ground and escape the effects of Hurricane Florence. A random scene of life along the Carolina coast repeated on the news since Friday as extreme weather devastated lives. Too often it’s a “there but for fortune” moment when it comes to dealing with the climate change issue. Do you simply glance and continue with your life? Or do you finally realize we’re at a critical point where something has to be done? I’m dry in California, but I was struck by the coverage. I’m not immune from being touched by catastrophic weather events. The extreme heat this year has turned much of my state into a giant tinderbox. I’ve seen the smoke of major wildfires both north and east of me reach my home. Even without the fires, I am in a rural part of the state, where dairies and their cows contribute huge amounts of methane, known to be far worse than the emissions from cars and trucks. I don’t need a hurricane as a reminder. Everyday, I live in an area where belching cows, their flatulence and their manure, contribute to climate change. Add it all together — from the arrival of hurricane and fire season, to a drive past a rural dairy—and these things we too often just take for granted. It’s only when the cumulative effects of all of them in the extreme force us to take notice. And then for a moment, it hits us. Climate change is for real. Who should take charge? If the federal government wants to look the other way and placate corporate interests, it will be up to our natural thought leaders to make sure the public understands what’s at stake. That’s the idea behind UC3, the University Climate Change Coalition, 17 leading North American research universities working toward helping their local communities achieve climate goals and move more quickly to a low-carbon future. The schools represent a diverse list including the top public institutions like: University of California, and the University of Maryland, College Park, as well as Boston University and Washington University in St. Louis. The list also includes schools in Mexico ( Technologico de Monterrey and La Universidad Nacional Autonoma de Mexico) and Canada (University of Toronto). The stated goal of UC3 is to leverage institutional strengths as leading research institutions to form a network to share lessons learned and develop best practices to reduce greenhouse emissions and build community awareness. It’s a total collaboration of university presidents and chancellors, sustainability professionals, researchers and communicators. All told, the coalition boasts more than 2,600 leaders interested in working together to find climate solutions. All are in alignment to become carbon neutral in its operations by 2025, consistent with the goals of the Paris climate agreement. This past week at the Global Climate Action Summit in San Francisco, University of California president Janet Napolitano welcomed the coalition’s newest members: Boston University, the University of Connecticut, the University of South Florida, and Washington University in St. Louis. The coalition put out a new report that shows the kind of things members have done, like UC’s addition of 1.5 million square feet of LEED-certified buildings to UC campuses in 2017. New member Washington University in St. Louis boasts 2.25 million square feet of LEED-certified space. The results of Wash U’s efforts are already felt. Even though it’s doubled its campus size the last 30 years, the school is on track to reduce greenhouse gas emissions to 1990 levels by 2020. Given our climate circumstances, It’s a wonder why only 17 schools are part of the coalition. In lieu of more enlightened guidance from the feds, it’s up to higher ed to play a larger role in saving our planet. The hurricane news is just another wake up call. Climate change is no hoax. 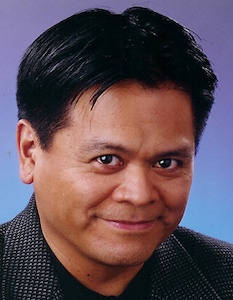 Emil Guillermo is a journalist and commentator. You can follow him on Twitter @emilamok.